The build up of an electron interference pattern one electron at a time as an electron beam passes through two slits in a barrier is not explainable with classical physics. Richard Feynmann "...absolutely impossible to explain in any classical way, and has in it the heart of quantum mechanics." 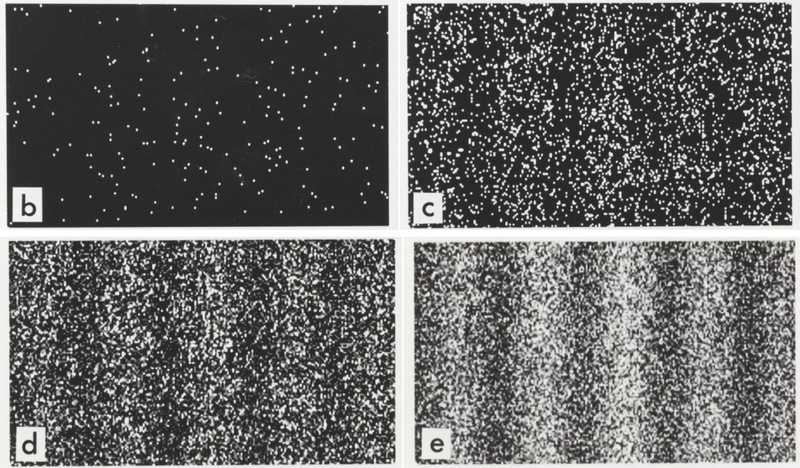 Here, from a paper by Tonomura and co-workers from 1989, is a series of experimental images of this phenomena. The wave–particle duality of electrons was demonstrated in a kind of two-slit interference experiment using an electron microscope equipped with an electron biprism and a position-sensitive electron-counting system. Such an experiment has been regarded as a pure thought experiment that can never be realized. This article reports an experiment that successfully recorded the actual buildup process of the interference pattern with a series of incoming single electrons in the form of a movie. 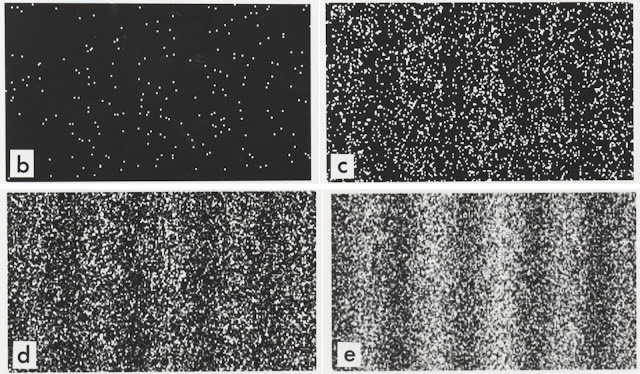 The sequence of images shows what happens as electrons go through the pair of `slits' one at a time. Each white dot is a detected electron, point like and discrete. Over time as more and more electrons pass through the pair of slits an interference pattern builds up - a phenomena of continuous waves. Figure caption: (b) 100 electrons detected, (c) 3,000 electrons detected, (d) 20,000 electrons detected and (e) 70,000 electrons detected.